The ‘Sip Sip’ song fame Jasmine Sandlas is becoming famous in the Punjabi music industry. Mainly renowned for Punjabi songs, the performer has also featured on the TEDx Talks and MTV Coke Studio. Adding to this, Jasmine has debuted as a playback singer in movie Kick alongside Yo Yo Honey Singh. Born in Jalandhar, Punjab on 1 February 1990, Jasmine moved to California with her family when she was just 13 years old. Her passion for the music has always been in her veins as she started at the age of 5-6 and began participating in schools performing Punjabi folk songs. Jasmine Sandlas started her career with her debut song called Muskan written by Lalie Gill and gave her a success worldwide. Later, she sang up a song in Salman Khan’s Kick ‘Devil- Yaar Na Miley’, which was also a super hit. 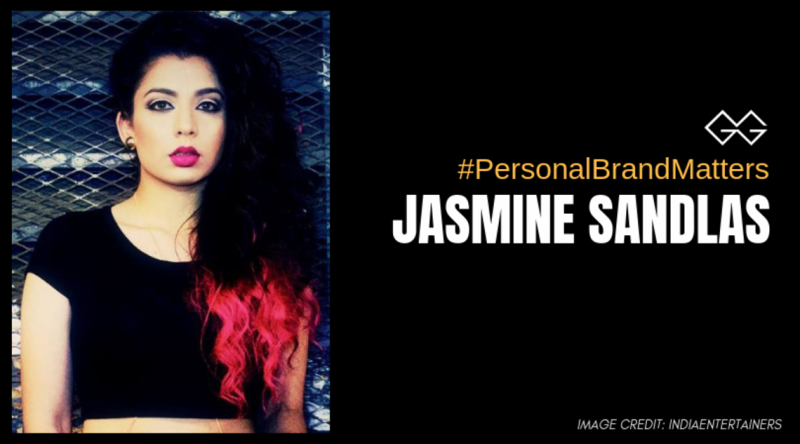 From her glamorous pictures to her Snapchat posts, Jasmine has become a big brand today. Jaavan do time gym poori fit haniya ?? Loves having red colours hairs, Jasmine considers Surinder Kaur and Shiv Kumar Batalvi as her inspiration. It is allegedly said that her family didn’t support her singing career in the beginning. Her Snapchat name is Gulabiqueen where the singer is quite active. From her social media posts to her outfits, Jasmine knows how to steal the hearts. Her personal branding is inspirational for those newcomers who have just started their careers. Jasmine is reaching her fans, posting frequenting, inspiring fashion and entertaining her followers smartly.